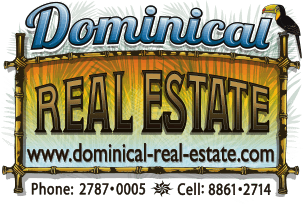 0.7 ACRES - 3 Bedroom Home In Lagunas With Ocean And Mountain View!!! This charming 3 bedroom home is located in the mountain community of Lagunas. It is a 10 min drive to the town and beach in Playa Dominical, 5 min on a very well maintained gravel road and 5 min on a paved road. The property sits at aprox 800 feet elevation which means nice cool breezes and even cooler evenings. The house is very tropical and is shaped in a U. The kitchen and living area is down one side, and the bedrooms are down the other side and in the back. All of the bedrooms are accessed from the courtyard and they all have bathrooms and AC. The middle of the U is the living room and their is plenty of space to add a pool out front. The property is located on a quite dead end street and has great view. It looks out over the mountains and has a small ocean view. The house is currently a rental and has plenty of potential to make a nice profit.